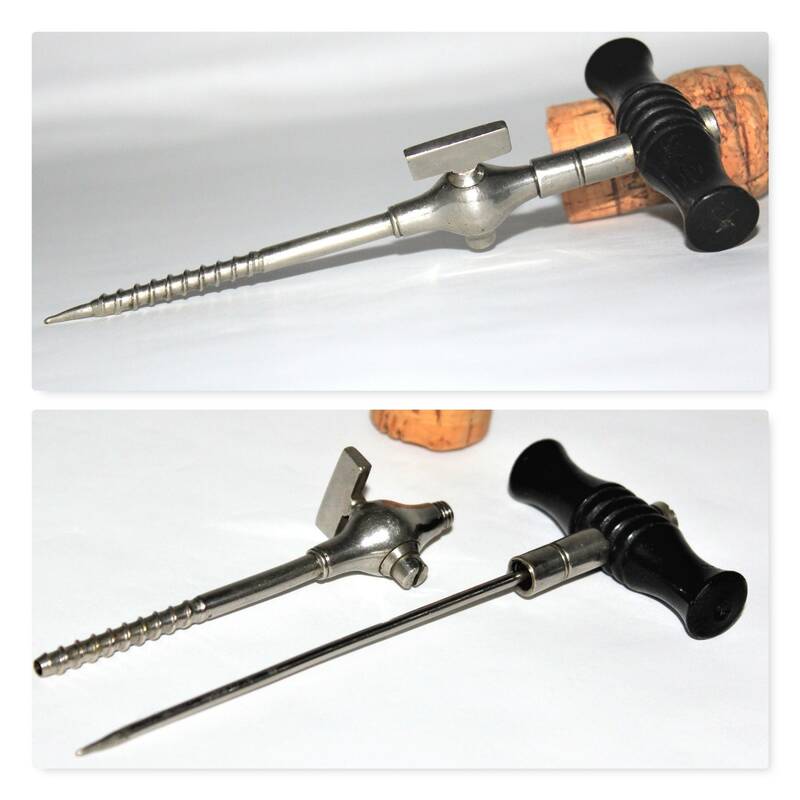 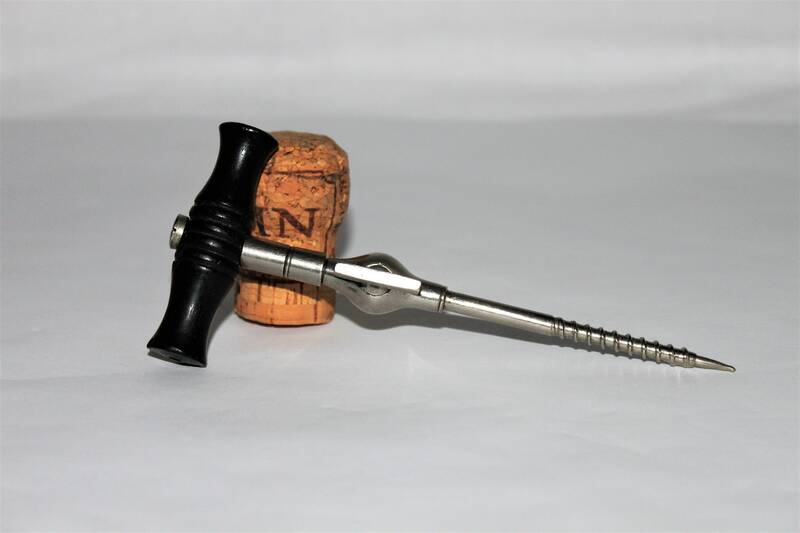 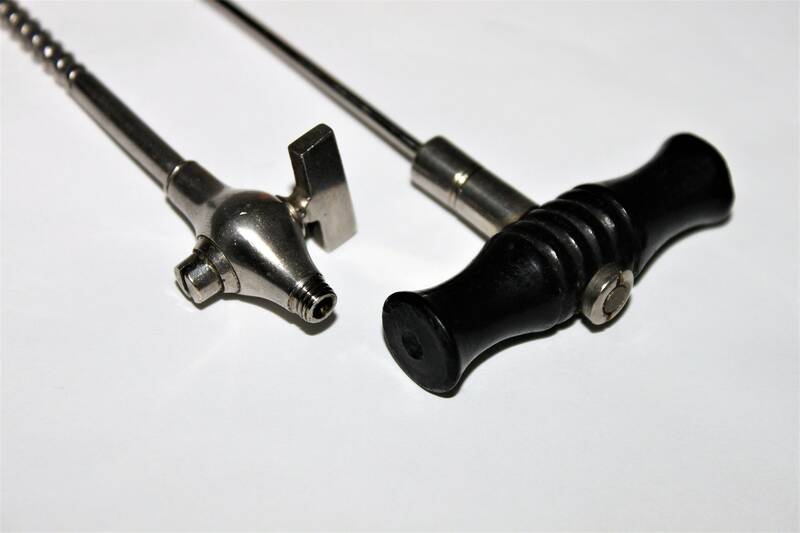 This is a beautiful example of this style champagne tap with ebony wood handle the handle screws out of the valve housing and is attached to a sharp spike (trocar). 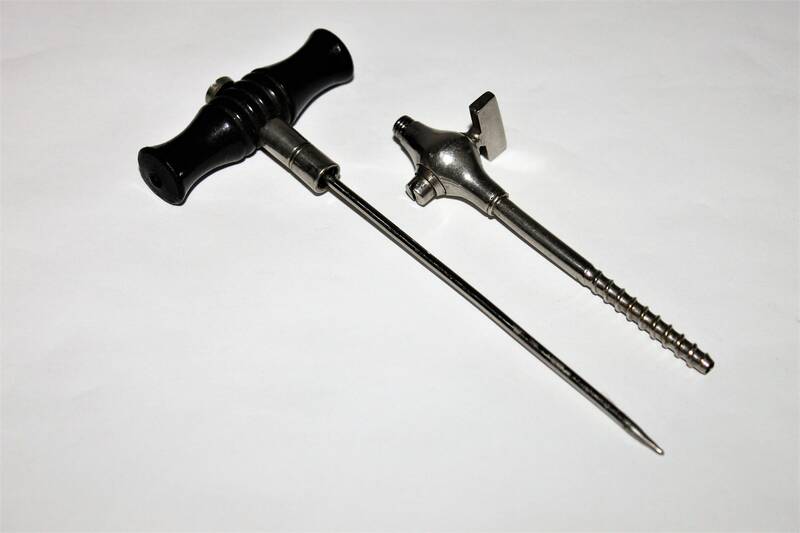 Operation: The trocar pin extends beyond the tube with which it forms a continuous spike. 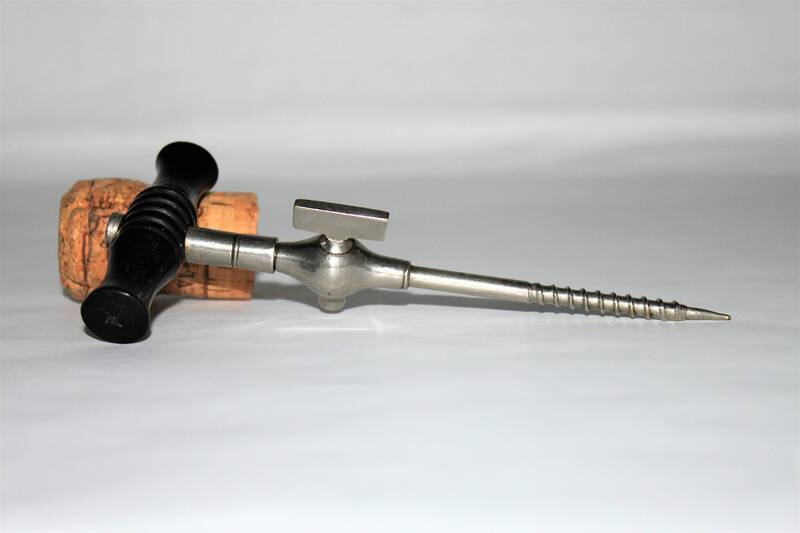 The device is inserted into the cork until the end of the shaft/stem is visible. 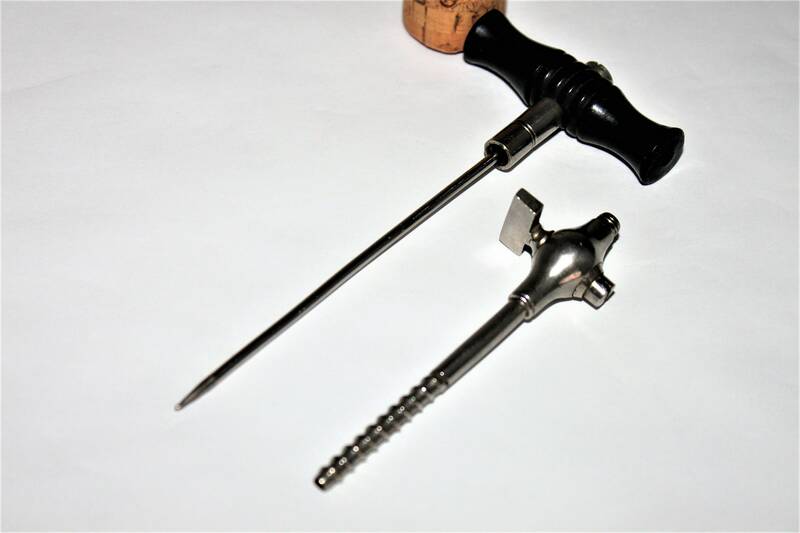 Now the wood handle is screwed out of the shaft and the spike/wire is withdrawn from the trocar. 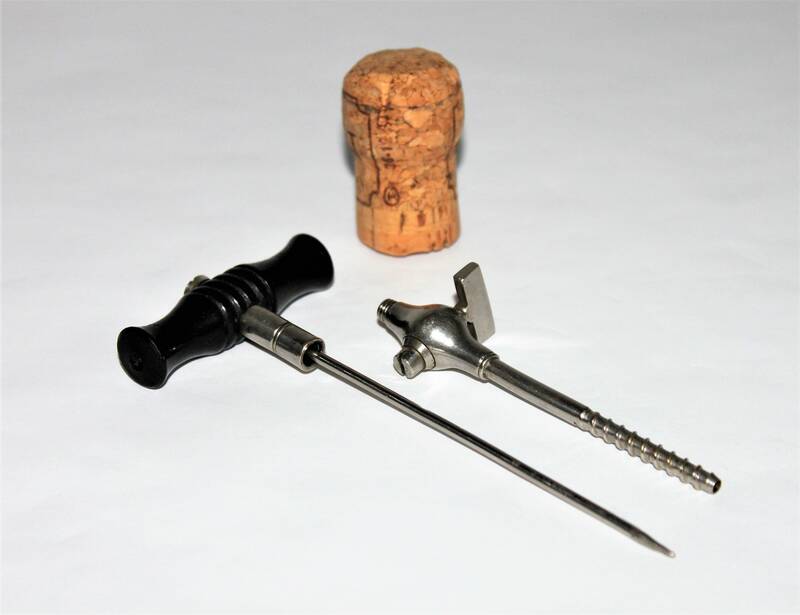 Then the tap is closed with the side valve until the champagne is needed. 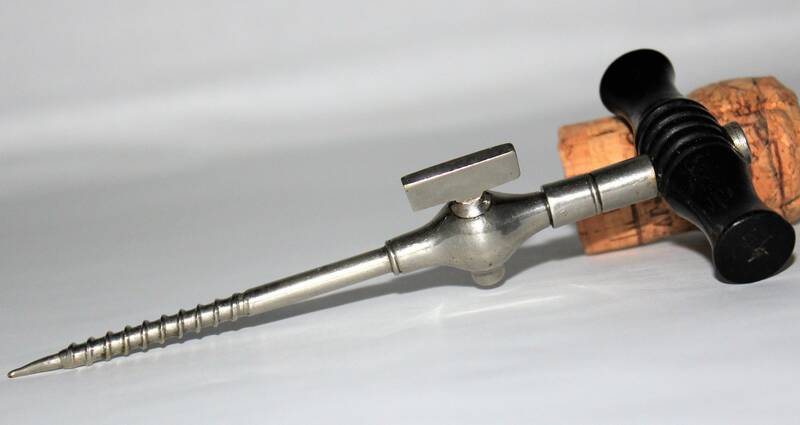 Condition; The tap is used and shows signs of very light use scuff and scratched in the metal finish, wood handle is extremely nice.